After much anticipation Apple has released their newest models of iPhone. 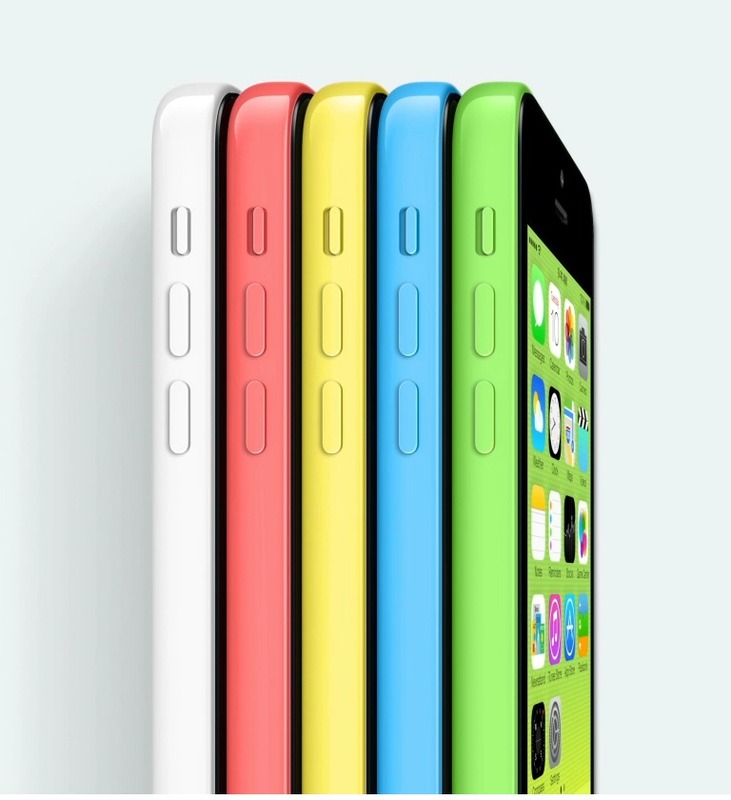 For the first time ever, they now have more than one model, the 5C (color), and the high end 5S. The new iPhone 5C is their lower end offering. It’s pretty much the iPhone 5 but with a plastic, polycarbonate body replacing the aluminum body of the 5. Even though it’s plastic I’m sure with Apple’s attention to quality it won’t really feel cheap. With prices starting at $99 (with a 2 year contract), this is now a great smartphone for someone on a budget to consider. This will also be a good choice for companies who provide iPhones for their employees as they will likely be more durable and less expensive to replace. The new iPhone 5S is their new luxury model…now available in a gold (champagne) colored model. I tried to convince myself that I was perfectly content with my iPhone 5. I have had zero problems with my iPhone 5 and it’s still in perfect condition. It does everything I need it to do…but stupid Apple! I WANT THAT FINGERPRINT READER!!! Yes, the new iPhone 5S has a faster 64bit processor, a better camera, a better flash for the camera, and is available in a new color. But none of that really matters to me. Since I have work emails on my phone my company requires that I have a passcode on my phone. It’s not complicated to punch in the 4 digit code before unlocking it. But it would be really cool to just press my thumb on the home button for it to be unlocked. And it works with other passwords too! If I want to buy an app I could use my fingerprint instead of having to type in the password for my Apple ID. Apple has a solid history of taking existing technologies and improving them to the point that “they just work”. This is hopefully another example of them doing the same. 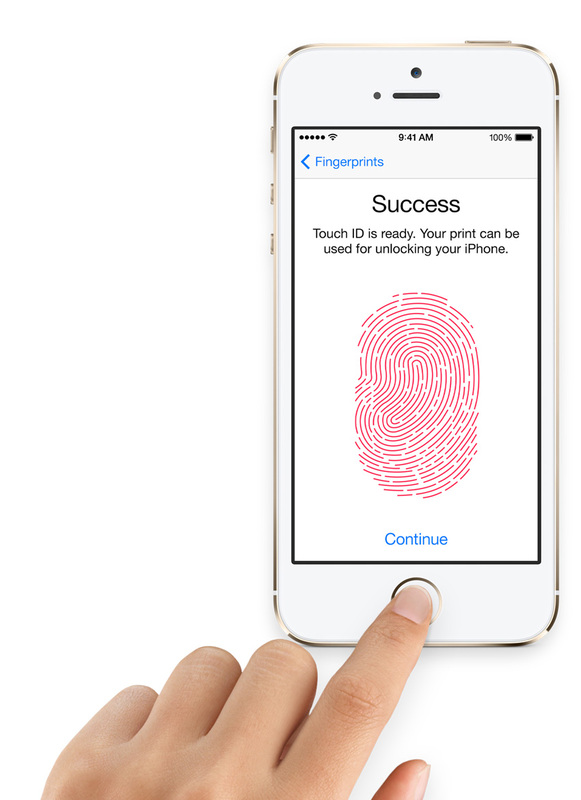 Fingerprint technology has been around for years, but it hasn’t always been the best. Here are the impressions that I’ve read so far on Apple’s “Touch ID” technology in the 5S. [The champagne iPhone 5s] actually looks better in person compared with the many leaked images we’ve seen. The sapphire crystal home button is not nearly as concave as previous models, a necessary change for Apple to integrate its new Touch ID finger scanner. it’s almost flat but still maintains a nice, tactile feel when you click on it. We watched the fingerprint sensor unlock the phone quickly and easily (though we didn’t get to try it ourselves), but presumably these were ideal conditions with iPhones that were fully acclimated to their handlers. Typical of Apple, [the iPhone 5S is] a gorgeous looking phone. I went through the process of adding my fingerprint to the 5S and then unlocking the phone using the fingerprint. It’s pretty seamless to do, just following the onscreen instructions. …Unlocking the iPhone 5S was very slick—just rest your finger on the Home button and the phone unlocks immediately. You don’t have to press or move your finger around waiting for it to be recognized—it just worked. Apple’s new home button is not only very impressive in practice – it looks good too, with the stainless steel ring adding considerably to the device’s aesthetics. The new colors look good, too; ‘space grey’ replaces black and looks more like a graphite or a steel, and the gold color, which I wasn’t expecting to like, is actually pretty easy on the eyes in person. Time will tell how well these new phones perform but Apple has a pretty good track record with each new iPhone. I’m excited to try these phones out and I’m sure many of you are as well. Will you be ordering one of these new smartphones? Which one will you go for? Tell me in the comments below. not to sound like an apple naysayer, but…..while I feel apple is ok right now with the 5S and now introducing the 5C., I think they’re really going to have to come out swinging next year to keep people interested. I think they’ve really squeaked all they can out of this form factor adn are going to have to go to a larger screen.